Situated in the centre of Boyle, King House has had a varied history over 300 years but is now fully restored, as Nollaig Feeney explains. 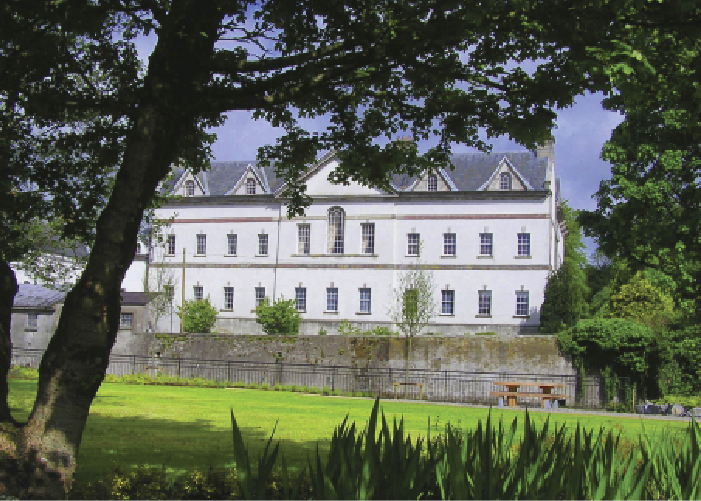 One of the earliest surviving substantial townhouses in the province of Connacht, King House was built for Sir Henry King MP (c. 1681–1739) between 1720 and 1740. It was subsequently home to Edward King MP (1726–97), first earl of Kingston; the Kings became one of the premier landowning families in Ireland. During its lifetime many different people have lived in the house and it has had many different roles: as a family home, a military barracks, an office, and even as a store. The design of King House is attributed to William Halfpenny (d. 1755), an assistant to the renowned Sir Edward Lovett Pearce (d. 1733). Although built in the Palladian style, replete with classical detailing, Venetian windows and a pedimented roof line, the house retains a seventeenth-century fortified character that must have served it well when it was adopted by the Connaught Rangers and Roscommon Militia at the turn of the nineteenth century. King House is built symmetrically on four floors on a U-shaped plan: it is almost certain that it was intended to be rectangular in form, but the entrance front intended to complement the garden front was never completed. The house boasts an extensive vaulted basement area, with the ground, first and second floors also vaulted with red brick—an unusual feature, as predominantly only basement areas were vaulted in large houses. It is believed that the extensive use of vaulting in King House was intended to prevent the spread of fire, and three varieties were used: barrel, pointed and groin vaults. 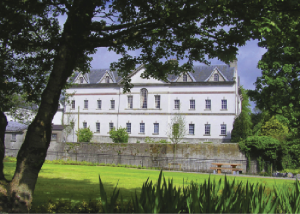 Ultimately, however, King House was damaged by fire in 1788, which may have prompted the Kings to move to a new mansion, Rockingham, on the outskirts of Boyle. Of particular note is the Long Gallery running the full length of the ground floor, with its majestic front door, stone-tiled floor laid in the Carréaux d’Octagnes pattern, and tripartite Venetian windows. Twin pedimented chimney-pieces form focal points: fashioned from fossilised Kilkenny limestone, polished to give the appearance of marble, they feature floral and peapod motifs. The splendid main saloon on the first floor is almost a perfect cube in shape: twin chimney-pieces enhance the symmetry of the room. A spacious Venetian window overlooks the pleasure grounds, while a bold plasterwork cornice supports a coved ceiling. The dining room was located on the ground floor, readily accessible by the kitchen staff and servants in the basement area. The house was leased and subsequently sold in 1795 to the War Office in London for a sum of £3,000. 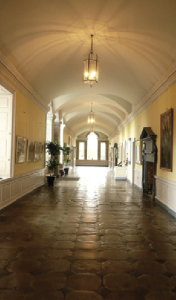 Throughout the nineteenth century it was the home of the Connaught Rangers, adapted as a barracks for twelve officers and 260 non-commissioned officers and private foot soldiers; it was also adopted as the headquarters of the Roscommon Militia. 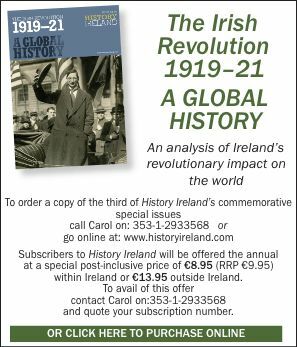 On the foundation of the Irish Free State in 1922, the newly formed Irish National Army took possession of the house and it was renamed Dockery Barracks in honour of a commanding officer killed in Boyle during the Civil War. It was taken over by the Third Infantry Battalion and witnessed military activity once again during the Emergency. Nollaig Feeney is Heritage Officer with Roscommon County Council. Series based on the National Inventory of Architectural Heritage’s ‘building of the month’, www.buildingsofireland.ie.